On Saturday, Dec. 8 from 11:30 a.m. to 5 p.m., Loudoun County Animal Services will host its fourth annual Home for the Holidays event, a pet adoption event where all adoption fees are waived. The event will feature pets of all ages and types, from 8-week-old kittens to an 18-year old turtle named Alfred. The event will be full of holiday cheer with a visit from Santa Claus. 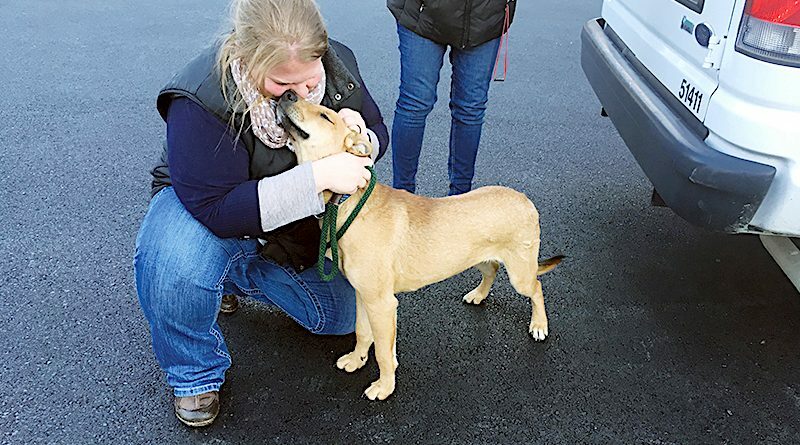 This year, animal services is partnering with shelters in Wise and Highland counties, as both shelters are critically full with cats and dogs. By bringing animals from rural communities facing overpopulation, Loudoun County Animal Services hopes to help unite Loudoun families with adoptable pets who may otherwise not had a chance at finding a home this holiday season. In lieu of adoption, those wishing to help homeless pets may bring donations of cat or dog collars, dog harnesses, bully sticks, dog training treats, or fleece blankets. Because of event’s popularity, animal services is offering a “free cat guarantee.” If all cats over the age of 6 months are adopted, all visitors on Dec. 8 will receive a voucher redeemable for a free cat adoption anytime during 2019. More information is online at loudoun.gov/animals. The Loudoun animal shelter is at 39820 Charles Town Pike near Waterford.